Guest Blogging can simply be defined as writing articles in other blogs. Where you will get several benefits. 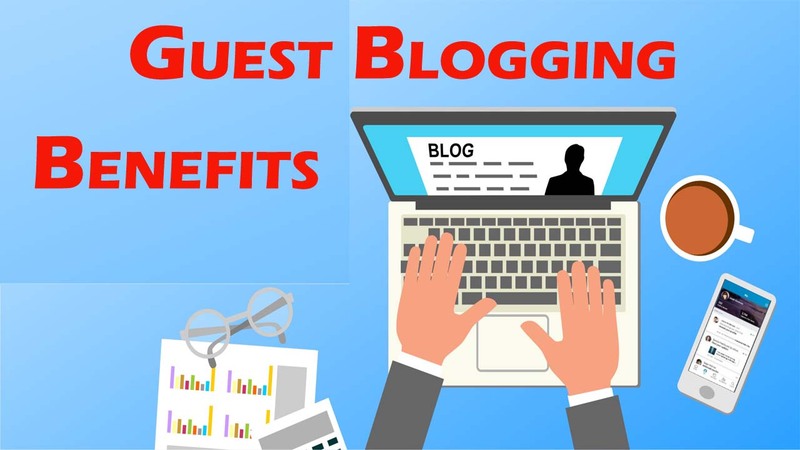 In this article, we are going to talk about what is guest blogging and what the benefits of it are. Most of the bloggers care only about his blog. They don’t think about other relevant blogs in their niche. If you have competitive blogs in your niche think they areas your friends. When you write articles on their blogs or they write on your blog will make win-win situations for both of you. When writing to other popular blogs, your authority also going to rise. Many of their readers identify you and you become a popular niche in your niche. When you write more articles they believe in trust about you. You are exposed to a large audience. This will create your brand. Ask from blog owner to give you a backlink via your article they published. Most of the bloggers like to give backlinks when writing articles to them. Getting backlinks is essential to rank high on google and other search engines because these backlinks play a crucial role in SEO. Building backlinks also have other several benefits. Don’t make backlinks from blogs which are not related to your niche. Always remember to make backlinks from high-quality authority sites. There is no value of how many backlinks you have. The important thing is how many niche relevant backlinks you have. Nowadays google only consider backlinks which are relevant to niche or your industry. When linking to a popular blog will make huge traffic to your blog. Guest blogging can use as a popular traffic driving method. When you increase your backlink count your traffic also increase gradually. Getting traffic will make more advertising and affiliate income. When receive traffic from other sites will make new blog readers. If these readers love your content they will automatically subscribe to your newsletter. That will increase your email subscriber count. Getting new readers has many benefits. You will find experts in your niche. These big connections are essential to creating your brand. When you receive traffic via guest posts those readers automatically able to follow your social media channels. If any reader loves your content, they will share your content with their social media channels. That social signals are important for SEO. Social sharing will reward you with additional traffic. Nowadays, you can’t think about any online marketing strategy without social media. Growing social media develop your brand for new people. These are the top 5 benefits of guest blogging and there are so many other benefits too. Writing blog posts to another blog will develop your writing skills. You need high quality writing skill to approve for well-known blogs. Your language knowledge will increase with each blog post. You have to reduce grammar mistakes to write a perfect blog article. Once I receive a new advertiser who came from a guest post I wrote for a popular tech blog. He asked me to advertise his business on my blog and he wants to publish sponsored contents on my blog. That made me some income. I hope you also will receive that benefit. 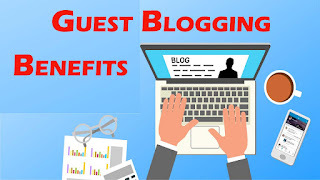 As a newbie blogger, you should try guest blogging and I’m sure it will give more benefits to you. When you became more popular many new bloggers will ask guest post on your blog too. You can make a blogging community around you. Nowadays content marketing has a huge demand. Therefore you have a big opportunity for making money easily. Try this and enjoy the benefits.